Are paper books a menace that threatens the very foundations of modern society? Well, of course they aren't. I'm married to a librarian, and she thinks that paper books are nifty. But when it comes to compactness and convenience, you can't beat electronic books, newspapers, and magazines. So if you've decided to embrace the post-paper reading world, what's the best device to help you make that journey? That depends on if you want to buy a dedicated reading device or a more versatile tablet. That might seem like a question with an obvious answer: Tablets have fancy color screens and thousands of apps, while dedicated reading devices tend to be simple black-and-white devices that might seem like outmoded, old technology. But dedicated ereaders have a bunch of advantages of their own. Dedicated readers such as the Kindle and Nook use E Ink technology. These days E Ink can really only render black and white (and shades of gray), so it's hardly a colorful experience, but the display itself is much better than in the early days of Kindle. Back then, text was dark gray on a light gray background. With this latest generation of ebook readers, text is crisp and dark and the backgrounds are almost white. 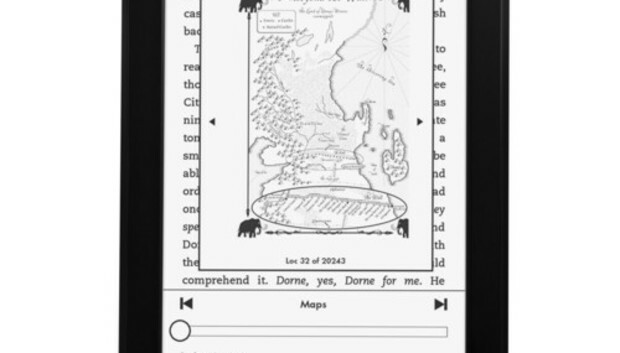 A device with E Ink feels very much like an ink-on-paper book. These devices don't make you feel like you're staring at a backlit computer screen, but a printed page. They also tend to be quite light and compact, which gives them more of the weight and feel of an actual book. And then there's the trump card of dedicated readers: They're great in bright sunlight. If you like to read outside--in the backyard or at the beach, say--glare just isn't a problem like it is with tablets. The backlighting on a tablet will have an awful time competing with the brightness of the sun, and the glare of that glass tablet screen makes matters even worse. Dedicated readers are also a lot cheaper than tablets, which may make you more comfortable toting them around with you. Put it in a purse, bring it to the beach (maybe in a zip-top bag, for sand and water protection? ), and don't worry too much about thieves. These things aren't free, but they're not $300 investments either. Since dedicated readers are black and white, they're best for reading long runs of text. They're great for novels and decent for newspapers, too. If you want to read magazines or comics or anything that requires color or complex interactivity, a dedicated reader isn't for you. But if all you want is something to let you read mystery novels, you don't need the fancy color displays found on tablets. If you've decided that a dedicated reader is right for you, the best dedicated ebook reader is the $119 Amazon Kindle Paperwhite. It's got a touchscreen and lights itself, so you can read it in the dark. If you're already a part of Amazon's ecosystem, it's a great choice. If you want a cut-rate ereader, we'd still recommend sticking with Amazon or Barnes & Noble. The Nook Simple Touch is $39 and and the plain ol' Kindle is $69. But really, spring for the extra money so that your ereader lights itself in dark places. If you've decided that a blank-and-white reader just isn't going to do it for you, you're now entering the realm of the full-on tablet devices. This article isn't going to answer the question of what the very best tablet is, but it can recommend the best tablets for reading. You should buy a smaller tablet--you don't need a 9- or 10-inch tablet display (and the accompanying weight) if all you really want to do is read text, look at pictures, and maybe watch some videos. The best choice in this category is also the most expensive. It's Apple's $399 iPad mini with Retina display. Apple's device has a gorgeous display that's the largest by surface area of our three choices, and it's tied in to Apple's huge ecosystem of apps. The high-resolution display makes text clear and its 4:3 aspect ratio means it's better suited for reading magazines and comic books than the wider-screen Android tablets. Amazon's $229 Kindle Fire HDX 7-inch also has a gorgeous display, and is tied in to Amazon's excellent book, video, and app stores. It's focused on consuming media in a way that no Android tablet (or the iPad) can really match, since that's what Amazon is all about. If you've already invested in Android apps and want a "pure" Android device, go with Google's $229 Nexus 7. It's tied in to Google's stores and the Android ecosystem and also has a great display. But we liked the Kindle Fire HDX better. You can use iBooks on the iPad and Google Play Books on the Nexus and iPad, but the Kindle app is available on all of them. It's not the best app--in fact, Google and Apple's reading apps are both superior--but Amazon's the one that's available on just about every device under the sun, which is why it's the best place to buy ebooks if you're switching across different platforms.